KITCHENER, Ont. – Four headliners. Three days. No two ways about it. Only one thing to do. 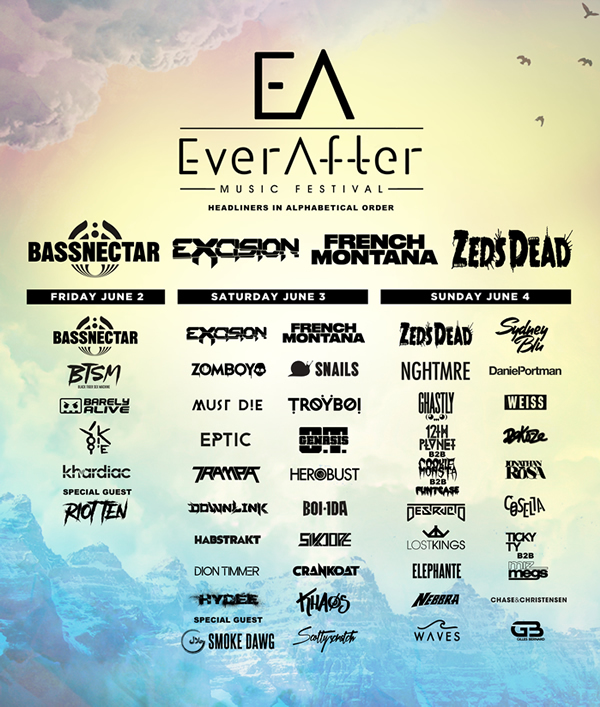 This June, come to Kitchener-Waterloo for the area’s most prominent electronic music festival experience: Ever After Music Festival. When not enjoying one of the 50 stellar acts, guests will enjoy free range of Vendor Village’s 25 unique shops and eats, plus the unlimited Midway of rides and games including inflatable jousting, full-sized bubble smash and a wipeout obstacle. The pièce de résistance: An all-access pass to the onsite waterpark – complete with waterslides and waving pool. A crucial pit stop all true fest adventurers will appreciate.